I’ve already mentioned the new Protect Oil from Esse Probiotic Skincare* in one of my latest posts but I thought it deserved a post on its own as it’s a rather special facial oil. I took this oil with me on holiday to Crete and tested it properly for more than a few weeks to see how I get on with it. The blend contains a rather special oil called Ximenia oil. This oil is pressed from fruit kernels sustainably harvested from the wild in Namibia and helps to protect sensitive skin from environmental damage. It forms a protective layer on the skin when exposed to UV so it’s great in summer for that extra protection from the sun. Ximenia oil has an anti-ageing effect on the skin and helps to soften the skin, moisturise it and revitalize it naturally. The Protect Oil smells delicious as it contains Vanillin extract. In addition, it contains a sunflower seed oil which also has moisturising properties and is high in vitamin E (antioxidant). I found the Esse Skincare Protect Oil quite thick so I would have to apply more than just a few drops to cover the whole face. As a result, I think I will run out of this oil sooner than if I was to use another facial oil. But this oil is really good to use in summer as it gives you that extra protection from the sun so this little downside is not a deal breaker. This oil comes with a pipette which makes an application much easier (I prefer this than a pump). And a recyclable glass bottle is another big plus especially for those who like to avoid plastic packaging. As an overnight treatment, Protect Oil works great and it really does help to soften the skin. My skin feels really lovely in the morning, well nourished and soft. This oil also makes a wonderful daytime oil, essential in summer for that extra protection from the sun and in winter, to protect the skin from cold and wind. Protect Oil is 100% vegan, 100% cruelty-free and 99% fair-trade. 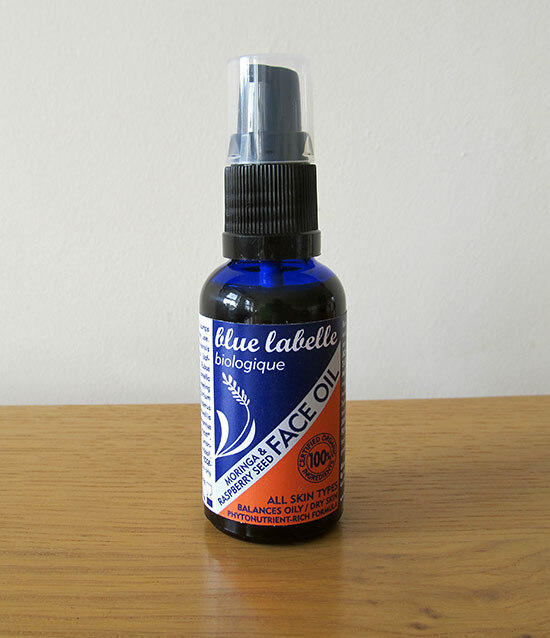 This is a lovely facial oil, well suited for sensitive skin which is prone to dryness. I found it also works great on combination skin as it doesn’t make your face feel greasy and does not cause breakouts. Esse Protect Oil is available from LoveLula with free worldwide delivery here. If you’ve never shopped at LoveLula before you can get 15% off (+ a free gift) here (just wait for the pop up to appear). You can also get a discount if you buy from a brand directly and you are based in the UK, just use the code WELCOME20 for a 20% discount. Have you tried anything from Esse Probiotic Skincare yet? What did you think? This sounds lovely Petra, I love the smell of Esse products! I’m currently using the Probiotic Serum. Never heard of Ximenia oil before! I agree, Esse products smell lovely. It’s the first time I’ve heard of ximenia oil when using this product, sounds really good.